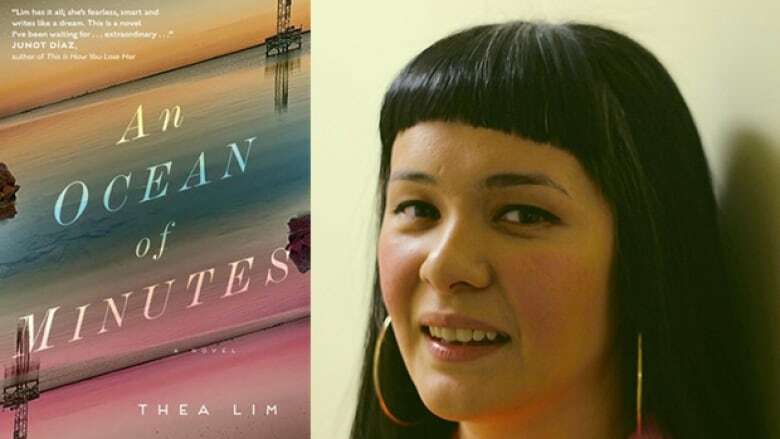 The Singaporean-Canadian novel's An Ocean of Minutes is on the Canada Reads 2019 longlist. Thea Lim is a Singapore-raised and Toronto-based novelist. In 2007, she published her debut, a novella called The Same Woman. Her latest, An Ocean of Minutes, is a dystopian novel about love separated by time and the sacrifices made to preserve it. When a deadly flu sweeps through America, a man named Frank is stricken with the virus. His partner Polly takes on a job that will pay for his treatment, but the work is 12 years in the future and once she travels forward, she can't return. They agree to meet then, but Polly gets rerouted to the wrong year. The novel tracks her tumultuous journey to find him. An Ocean of Minutes is on the Canada Reads 2019 longlist. The final five books and the panellists defending them will be revealed on Jan. 31, 2019. The 2019 debates are happening on March 25-28, 2019 and will be hosted by Ali Hassan. In her own words, Lim discusses writing An Ocean of Minutes. An Ocean of Minutes is on the longlist for the 2018 Scotiabank Giller Prize. "As humans, it's a basic facet of our understanding that everything is temporary. Everyone that we truly love will eventually, either leave us or die and yet we continue to fall in love, sustain connections and rely on one another. I wasn't interested in why we do this. I was more interested in how we do it, how we suspend this disbelief. I realized that what I was thinking about was grief and bereavement. What had crossed my mind was that when someone is bereaved, they're stuck in time. They can't move forward, they can't go on. As a pun to myself I thought, 'What if I actually stick someone in time?' The next thing I knew I was writing a time travel novel. But then something else unexpected came into the story — it became about immigration and displacement. The time travel in my novel winds up being a stand-in for the way that people travel geographically in our world." "I followed the plot to flesh out the world. I had to figure out what kind of person would do what Polly does, what kind of a person would make such a sacrifice. She wound up becoming extremely determined and quite emotionally compressed and, yet, also romantic. I think I come from a long line of extremely determined people like my mother and both my grandmothers, definitely, were these tank-like champions." "I chose the cities of Galveston and Buffalo most opportunistically because when I started the novel I was living in Houston and Galveston is very close and when I finished the novel, I was living in Toronto and Buffalo was nearby. The more I learned about these cities, the more I realized what fascinating places they were and how they fit with a lot of the themes of my novel. They're both places that constantly have been reinvented, that have experienced many versions of themselves. Galveston is repeatedly destroyed by hurricanes and then is rebuilt. No matter how many times it's destroyed, people continue to rebuild it. The Flagship Hotel in Galveston figures quite importantly in my novel. It was actually destroyed in a hurricane in 2007 and has since been replaced by an amusement park that stretches into the Gulf of Mexico. I was interested in this determined rebuilding. That fit with what I was interested in looking at — the idea that we continue to love people and to establish things even though we know that nothing is going to last. It was about following the trail, watching the story form itself and then figuring out what pieces I need to make this story work." "I wasn't trying to write a sci-fi novel. I was just trying to write that story about grief, but when I realized what I was doing I was quite happy because I love science fiction. I love alternate worlds. Science fiction is a useful and fruitful genre. It gives us the ability to talk about things that feel otherworldly and are beyond language, like contradictions that are deeply human but escape common expression — how we miss homelands we've never been to or feel a sense of loss toward things before they're gone. These are things that don't make logical sense but are such a huge part of our world. Being able to set stories in other worlds and places enables us to amplify those situations and explore them." Thea Lim's comments have been edited and condensed.